Back home after a 4 1/2 hour drive from Athens. Whoever is managing the clean-up effort here in South Carolina knows what they’re doing. We came down the back way through Augusta, Allendale, Fairfax, and Hardeeville. 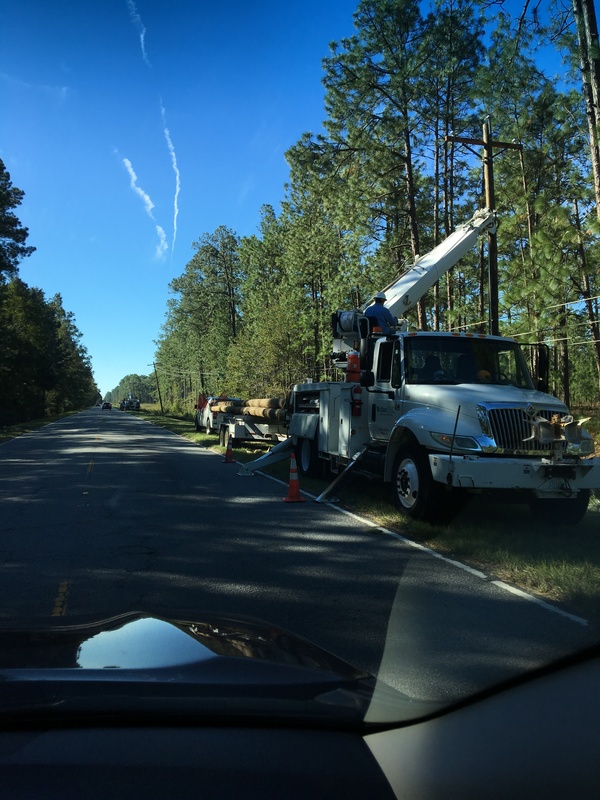 Work crew on US 321 between Estill and Hardeville, SC Many thanks for their heroic efforts! Although we saw dozens of trees that had blocked the roads only 48 hours ago, we had no delays. We’re talking 2-lane secondary highways for the most part. The SCDOT web site was pretty accurate, and we augmented the traditional way with intel we picked up from locals at our frequent refueling stops. Still have some more work to do. 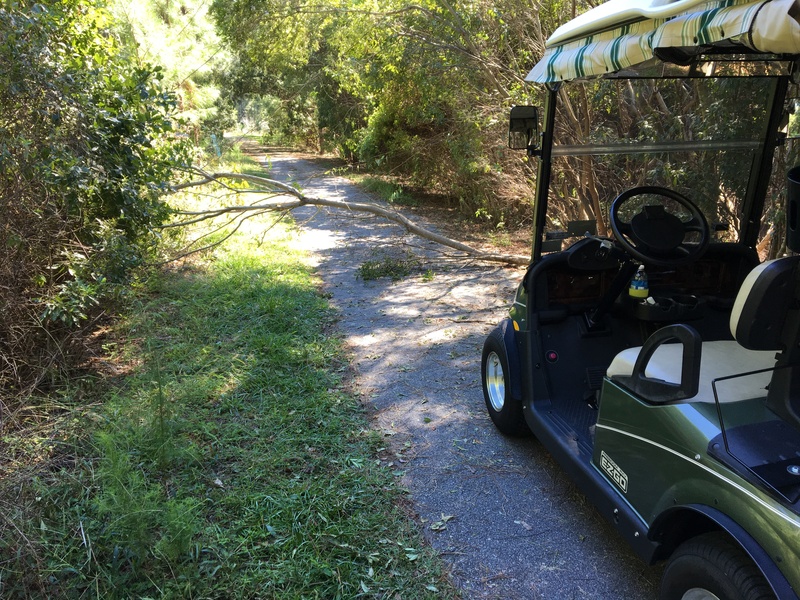 Unfortunately, my poor little golf cart wasn’t so lucky on our cut-through trails.